Even though you’ve provided the content, your business is in the URL, and you’re paying a high monthly fee, you do not own your website. Hibu does. You’re only renting it. Hibu doesn’t even allow the transfer of ownership. If you decide to part ways with Hibu, you lose your entire website. You never really own a domain name. You rent it from ICANN. But when you register the domain name in your name, you get the chance to renew it and keep control of your website. With Hibu, the domain name isn’t in your name. It’s in theirs. As a result, you rent it from them for more money that it costs you to rent it directly from ICANN. If you want to take over registration from Hibu, they charge you a high fee. With Hibu, expect to pay a high fee to just host your website. How high? They commonly charge at least $2000 a year. This is just the renting fee. It doesn’t even include the charges to build and design it. More than 80% of people use mobile devices (i.e. smartphones or tables) to browse the internet. All websites today must be built to work on both desktops and mobile devices. The key to achieve this is to have a mobile responsive site. Mobile responsive sites know what size screen someone is accessing the site from. The site is then delivered in a format that works best for that screen. Hibu doesn’t do this. Instead, if you want a mobile responsive site, they build you two separate websites. One for desktops and one for mobile devices. This means that you have two different websites to maintain. Not only does this hurt SEO rankings, but it becomes time consuming. Every change you make on one site, you have to then go and make on the other. 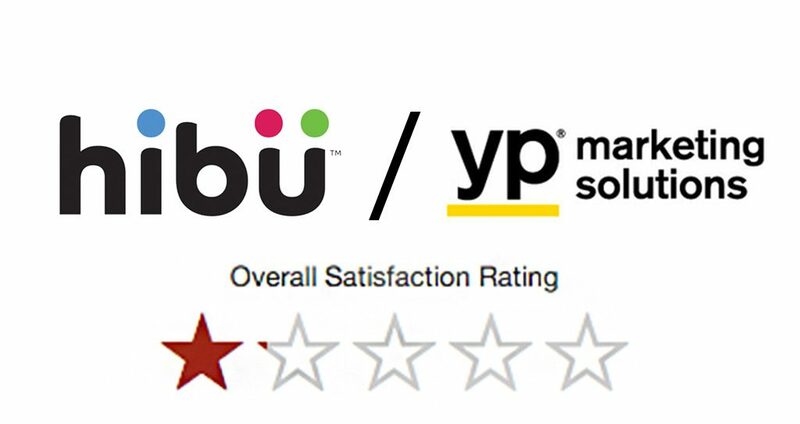 The summary of 234 reviews on consumeraffairs.com shows an extreme amount of difficulty and frustration when working with Hibu. 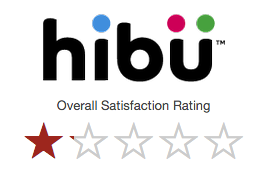 Out of 5-stars, Hibu receives only 1 for overall customer satisfaction. Customers’ complaints are long and terrifying. In addition to the issues we mentioned above, their grievances range from misrepresented services that don’t bring sales, to absolutely no customer support, to harassment and lawsuits or small unpaid balances. Many people deem Hibu as a “fraud and a scam.” They urge others “do not use this company.” Learn from these customers’ horrible experiences before you go through your own. If your looking for a REAL web design company with years experience, contact us today!